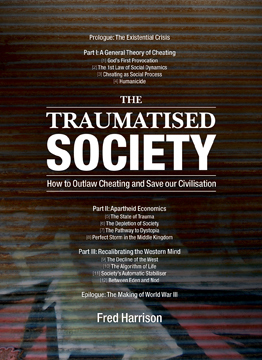 RAYMOND MAKEWELL has lived and worked in Australia, Europe, the United Sates and the Middle East. The majority of his professional life has been spent in banking and the computer industry. He had senior roles in the design of new technologies for banks by multinational companies and in the application of these technologies by banks. He discovered the economic teaching of Leon MacLaren in the late 1970s and has run public courses teaching these ideas for many years. In 2007 he undertook a Bachelor of Economics degree and found that what was taught in universities about how people and business behaved was completely unlike what he had observed during 40 years of international business experience, and that economics was being considered devoid of history, politics and ethics. Although there was material in print which challenged many ideas of the neo-classical economists, there was very little available that presented a comprehensive, cogent, alternative view of the economic system. This book has been written to address that gap. 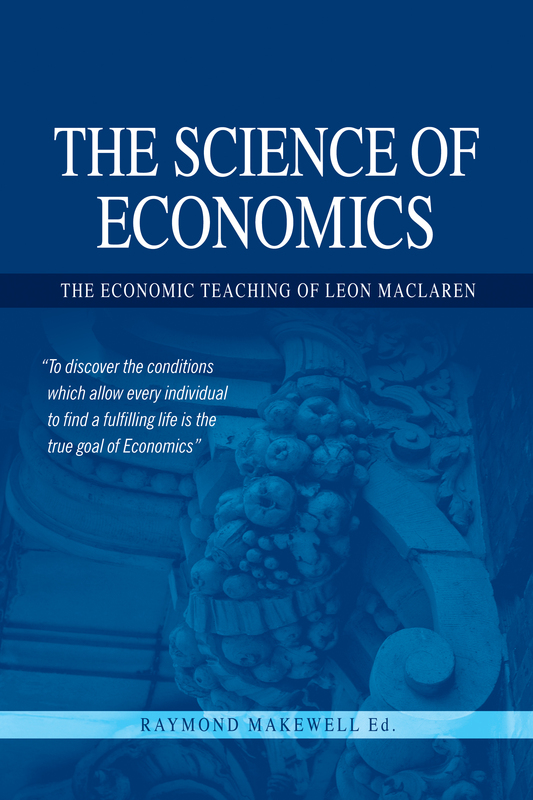 Leon MacLaren (1910–1994) was a barrister, politician, philosopher and the founder of the School of Economic Science. He considered the true goal of Economics to be the discovery of the conditions which allow every individual to find a fulfilling life. In his view, science was a study of laws that exist in nature, whilst economics was a study of the humanities, with the interaction of human nature and the natural universe at its heart. 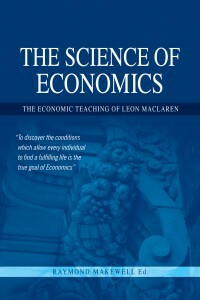 MacLaren defined economics as ‘the study of the natural laws which govern the relationships between people in society’. This book is based on a three-year course prepared by MacLaren for the School of Economic Science in London in the late 1960s. The editor, Raymond Makewell, presents the original subject matter revised with more recent examples and statistics from Australia, Canada, New Zealand, UK and USA. NextAre rising house prices a good thing?